PATHETIC! Chuck Schumer busted on video saying… what!? President Donald Trump announced Wednesday a proposal for a military parade in 2018 — and the mainstream media responded with furious condemnation. Liberal politicians claimed they were strongly against the thought of showing off the most powerful military in the world. The president was quickly criticized on every major news outlet. Exclusive: Hillary Caught Reaching … Continue reading PATHETIC! 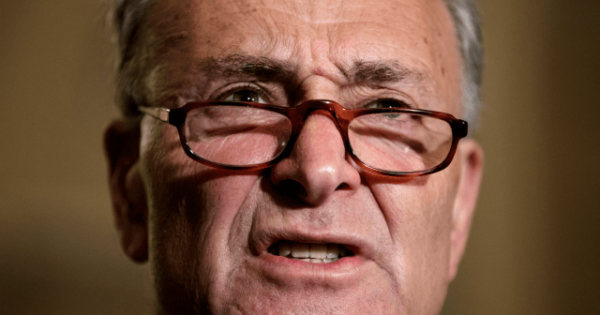 Chuck Schumer busted on video saying… what! ?